Wearing Explosive Calves while you play and during drills, allows you to promote the muscle fiber recruitment you need to increase power for greater speed and elevation. Now you can work out your calves while you play! Increasing your vertical requires a more powerful calf muscle contraction. Wearing Explosive Calves while you play and during drills allows you to promote the muscle fiber recruitment you need to increase power for greater speed and elevation. Add more elastics to increase resistance. A perfect compliment to Jumpsoles training! Train with the Jumpsoles, then play with the Explosive Calves! 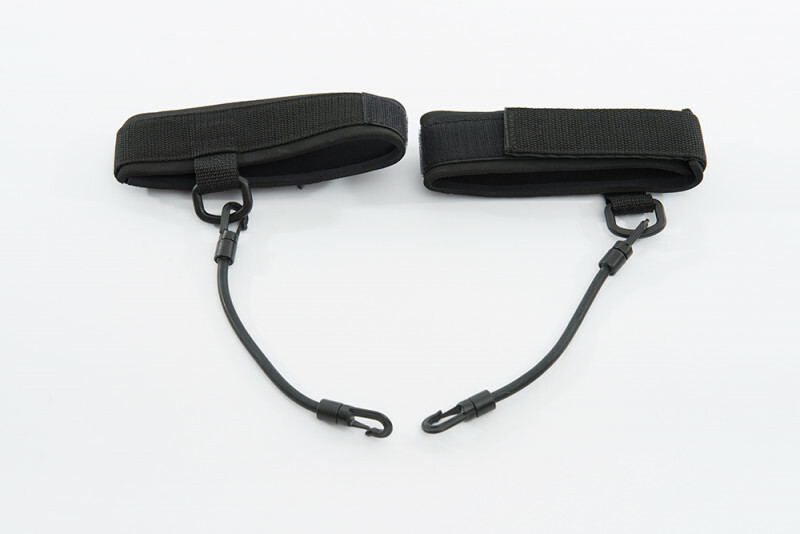 Attach the brace to your calf and link it to your front shoestrings.